You must be brushing & flossing your teeth twice a day exactly as per the directions for dentists, still facing the issue of yellowness. In that case, stop harming your tooth enamel by rubbing brush more harshly & contact a dentist. Apart from poor hygiene, there are many other reasons for yellow teeth. In a busy lifestyle, people carelessly treat their teeth that result in bad breath and poor smile. Sometimes, laughing publically also become the reason for embarrassment. If you also have gone through a similar kind of situation, some teeth whitening treatment clinical can help. There is a step wise process of teeth whitening followed by professional dentists. Before visiting their studio, you can gain some information from here. First of all, a dentist deeply analyzes the condition of your teeth and measure their whiteness with a meter. They record the current shade of your teeth and mark it as proof. 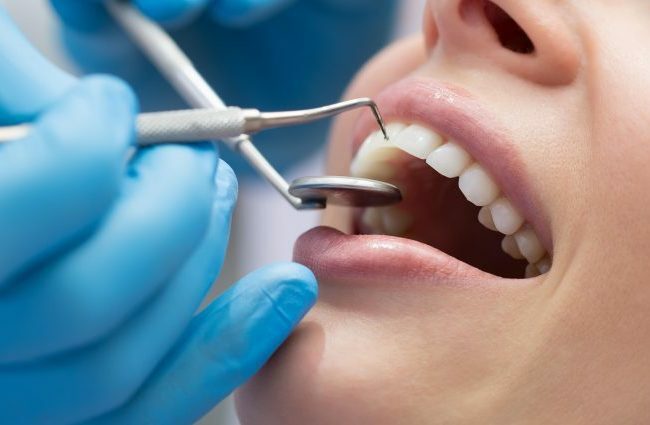 As the cleaning process starts, plaque removal is the initial objective of every dentist. For this purpose, they use pumice stone that has a grainy but soft texture. After rubbing all corners thoroughly, they ensure that no more plaque is visible in the toughest corners. Continuous plaque formation is one of the primary reasons why most of the people complain about yellow teeth. However, poor hygiene is the main reason why plaque gradually sticks and become the reason of periodontitis in the future. Before applying any chemical, the set of teeth must be dried thoroughly. The dentists use a retractor to keep tongue, cheeks & lips away from teeth so that they can dry for further process. After isolating rest of the mouth perfectly, the next step is applying a whitening chemical coating. This is a mixture of hydrogen peroxide & carbamide peroxide. The carbamide is a bleaching agent that helps in better shining. For activating the whitening agent of chemical, a laser beam is also used on every corner precisely. It requires around 30 minutes for a chemical to work or maybe sometimes an hour too depending upon the condition of teeth & type of chemical. Once the desired whiteness level is achieved, the chemical is carefully rinsed out. This process removes everything sticking on the upper layer, thus; there is also a risk of damaging the enamel. If anything wrong happens to enamel, the patient will face the tooth sensitivity issue. Therefore, the dentists also apply fluoride solution to prevent teeth from such kind of situation. One may not achieve the results with single treatment process. The dentists suggest an additional visit for better results if necessary. Apart from the professional help regarding teeth whitening, you can try some home remedies and personal kits of teeth whitening. Here are some effective suggestions. Baking soda & hydrogen peroxide mixture : Rather than using carbamide peroxide you can also mix hydrogen peroxide with baking soda as a home remedy. It is a safe alternative and easy to avail at homes. Active charcoal: The activated charcoal contains amazing features of absorbing yellow stains from your teeth. Nowadays, capsules of active charcoal are available that you can use with any toothbrush. Teeth whitening kits: One can also buy a teeth whitening kit that contains mouthpiece equipped with LED light, carbamide peroxide and gel syringes. You can read the manual to understand its right use. If the problem has not gone beyond the chronic level, you can try these home remedies. However, dentists are recommended if you are expecting assured results.